This is a show about dads. Good dads, daft dads, dads who wear slogan t-shirts, dads that put on barbecues, dads that tell dad jokes, dads that are bad at dancing. This is a show about dads who are absent and dads who are not very good dads at all. Daddy Drag asks us to consider how the relationships with our fathers affect us for the rest of our lives. 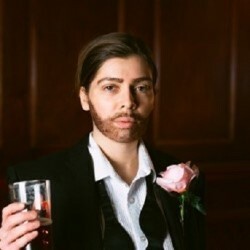 Leyla Josephine attempts to understand what it means to be a father through her witty performance style, drag costumes and complex but unconditional love for her dad.